Good thing I don't drink coffee. Can't wait to die soon. Hopefully it protects you from seagulls, too! HMM, HA. HM HM HM HA. 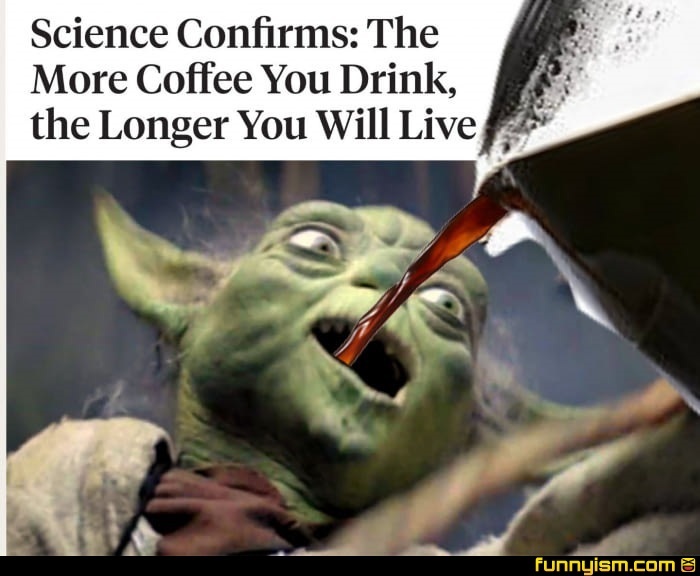 Read the article and science "thinks" coffee reduces the risk of death. But you have to drink 4-5 cups a day. I have always hated coffee. Must be a sign. Except Yoda. Sorry, 800 years is all you get. Huh. I guess the 12 cup a day habit I got from my last job has probably added a few years to my life expectancy then.